This Monday, another marvelous, yet different, edition of BarCamp Prishtina was held. It comprised of a set of interesting speeches and intriguing stories for the youthful audience, who seek to innovate and develop themselves both in academic and professional terms. Organized in cooperation with Green Art Center Prishtina, this edition of BarCamp Prishtina brought five young speakers with interesting stories on their recent success in their respective activities and projects. Held on June 1st, the International Children’s Day, it was solely targeted at children who, despite their young age, are active citizens of the community and continue to reach success in various fields. The main purpose of this edition was to show that our youngest generation has the potential to act as future leaders of Kosovo. Participants were inspired by the avidness shown by these youngsters, but also by their sheer determination to succeed, although in such a young age. The speakers in this edition were Albrim Tahiri, Uresa Ahmeti, Dea Balaj, And Gashi and Erinë Gashi, who revealed their experiences and successful results. Personal stories were shared, thereby establishing a close relationship with the audience, which interacted and returned the favor by asking questions. 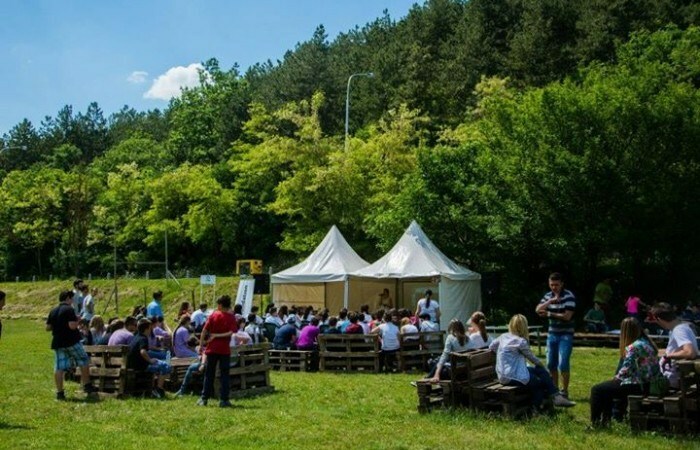 In contrast to previous editions, this one was held in Gërmia National Park, where environmental-friendly activities were also taking place by members of Green Clubs throughout local public schools. Each talk and discussion ensured that the participants’ minds remained engaged, while free fresh drinks kept the former receptive to the ideas shared by the speakers. Albrim Tahiri and Uresa Ahmeti, two young participants of UPSHIFT and members of a larger team, shared their project called “Let’s See.” This project aims to raise the awareness about optical health within the community of the Ferizaj region by visiting students in schools and organizing eye examinations. Both of them offered a concrete example of how youngsters with innovative ideas can counter a growing social phenomenon and provide a solution that benefits the whole community. And Gashi and Erinë Gashi, passionate youngsters of technology and winners of many prizes within USAID’s projects, shared their experience in the technology-oriented projects and activities that they have taken part in. These activities are related to the process of programming LEGO robots and using Alice program for creating animations through 3D models, through which they have partaken in open competitions. And and Erinë also demonstrated how the robots work, thereby increasing the interest of the audience on such activities. Until the upcoming edition of BarCamp next month, may the force be with you.